Yes, yes, yes! 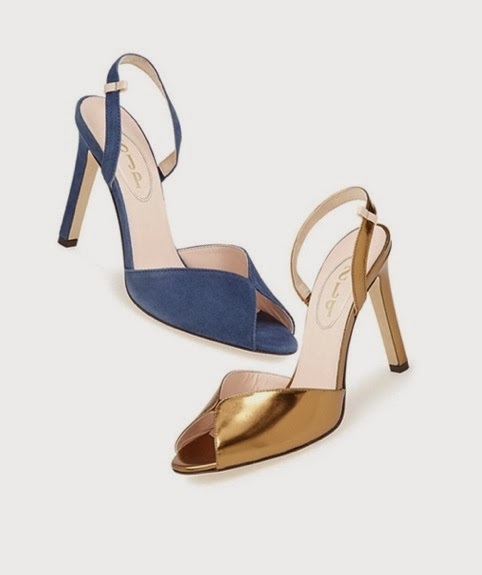 Sarah Jessica Parker has been a busy girl and launched her very first shoe line. The famous SATC actress and well known shoe-aholic created a very fashionable but wearbale line with lots of heels in various colors. Here's what she had to say during an interview with Oprah's BFF Gayle King about the whole collection of shoes, bags, trench coats that will be sold in Nordstorm stores. "We thought about the Metropolitan New York woman. A beautiful coat, bag and pair of shoes, they all kind of go together. It seemed tight. It didn't seem like we were trying to sell a bunch of junk to people." She also talks about the Carrie Bradshaw inspiration and says sometimes she would wear heels 18 to 20 hours a day on set! (OMG) She says: "I've spent so much time in shoes now. I really feel like I have an advantage.. I never took them off, but I wasn't in pain. I had been a ballet dancer so I don't know, maybe I prepped my feet with pointe shoes." Let's take a look at some of my favorite shoes of the SJP line! 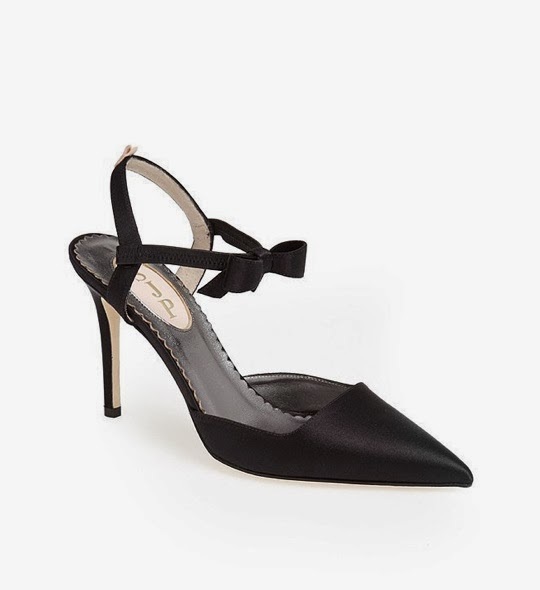 I love the cute black bow on this shoe! This golden shoe reminds me a lot of Carrie's style. 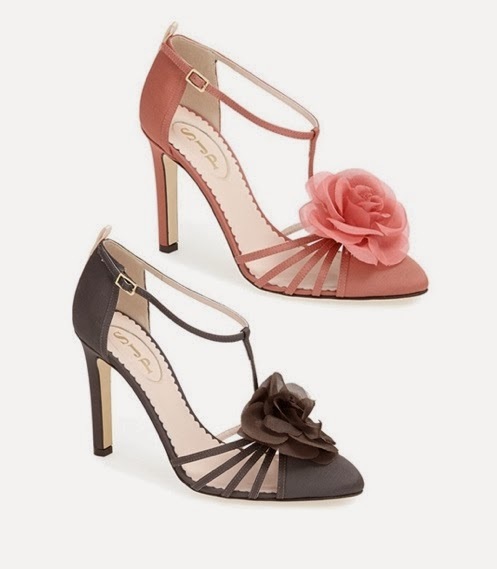 These pink heeled sandals with the big flower are probably my favorite pair. I can already imagine wearing these at a garden party in Spring paired with a white flowy dress. Very different style from the other shoes, these unique leather booties. I would wear them under a pair of skinny jeans! The shoes are a bit pricey but still affordable starting prices from $ 195. Now for the bad news...sadly the SJP collection only launches in the US. Hopefully these babies will come to European stores and the rest of the world soon OR via online shops! 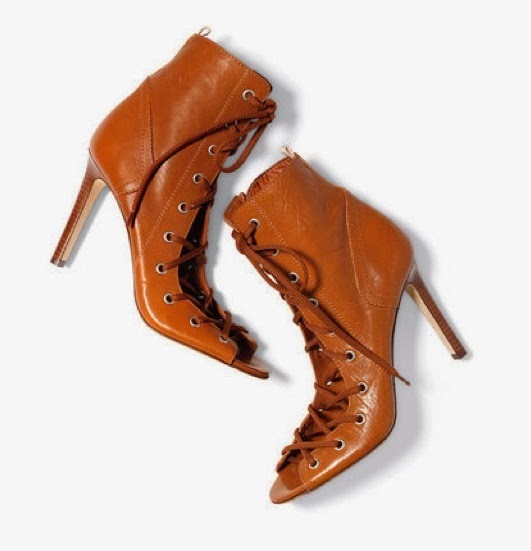 You can check out the entire shoe line at http://www.elle.be/nl/19228-lookbook-de-volledige-schoenecollectie-van-sarah-jessica-parker.html . Are you loving the line or will you be leaving the shoes in stores?